We’re starting to get hungry already! 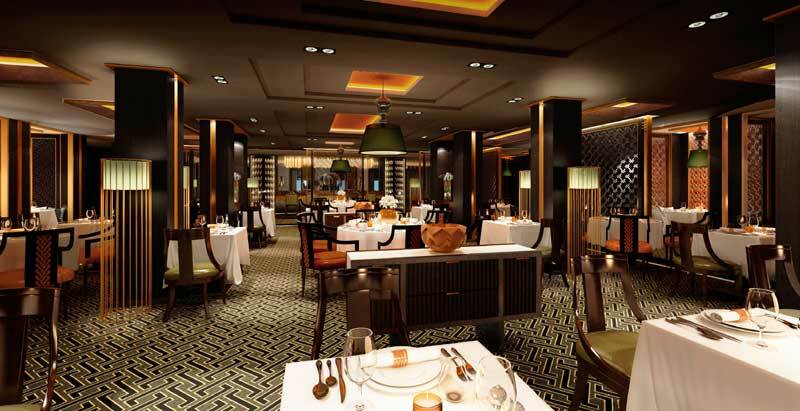 P&O Cruises have revealed “Multi-Senory” menus which are to be featured on the P&O Britannia when it debuts in March 2015. The ships two dining rooms called Sindhu and Epicurean will help guests discover these new menus. So lets see whats on offer from the two dining rooms, and beware you may become hungry! P&O Cruises’ marketing director Christopher Edgington said: “In recent years, our guests’ palates have become increasingly more sophisticated and our culinary offering needs to reflect this change. In addition to this extensive and varied menu, Sindhu also offers a bar menu featuring Nashta – Indian tapas. It’s good to see whats available months before the ship enter service and from reading the menus above it sure does make us want to go to those dining rooms. Let us know what you think in the comments below.